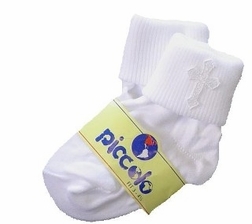 This are sweet little socks perfect for boy's Christening outfits. 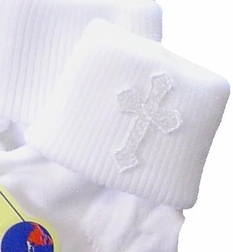 All Christening socks are white with a beautiful embroidered cross on the cuff. The little girl's socks are trimmed in delicate white lace. By Piccolo or Atlanta Hosiery.